Unlike its two predecessors, this third solo album by industry heavyweight Jack White failed to reach number one in the UK’s official album chart. Having hit number five before sliding to 35, Boarding House Reach is a shift in style and its chart performance an indicator of appetite for it. In the four years since Jack White launched Lazaretto, and six since his solo debut Blunderbuss, he has reached out to new sounds. While staying loyal to gospel-infused backing vocals, strong funk harmonies and lively guitar-lead melodies, he here injects a touch of the uber-eccentric. The synth heavy introductory track initially makes the chat about this album being his most experimental ring immediately true. Those opening heavy chords spring straight out of a horror film, handing me a momentary sense of intrepidation as I ask myself if he’s gone too far. It’s a brave opening for someone famous for the aforementioned characteristics. However, we soon move into similar White territory as he chucks in a minor chord harmony and we move away from something that sounds like the soundtrack to the 1978-slasher film Halloween. Proceeding tracks takes us safely back into the secure zone, with Corporation (track three) being one of a handful of phenomenal pieces designed to take your breath away. This particularly powerful funk rock ballad is supported by layers of strong keyboard and guitar riffs that roll through a funky bongo-tinged journey, refusing to follow typical rock-track format, showing White at his strongest. Other tracks, including Over and Over and Over and Hypermisophoniac, are guaranteed to please traditional White fans and reconfirm his position as a master of suspense, crescendo and powerful alternative rock. But even dedicated fans will struggle with the bulky new layer of surrealism on this album. White has always been eccentric and here he repackages his eccentricities and represents them in a way that is not always entirely convincing. When my ipod started playing Everything you’ve ever learned I was convinced it had shuffled onto the audio book of Hitchhikers Guide to the Galaxy. I persevered through the confusing start and was duly rewarded as it unfolded with layers of sound and power that matched Led Zeppelin-level skill, but many will be put off more easily by this and the other few unnecessarily odd songs. Jack White has operated independently for so long it’s not his first chance to pretend be totally odd, but at times, this is how it sounds. 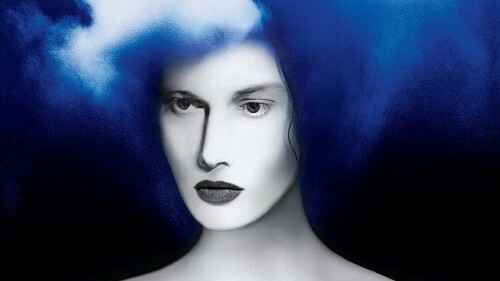 Parts of this album speak to me with the quality I expect from Jack White, but I am left asking how much is this the pursuit of an image he wants to create as much as the music he wants to make? The answer, I leave to you.